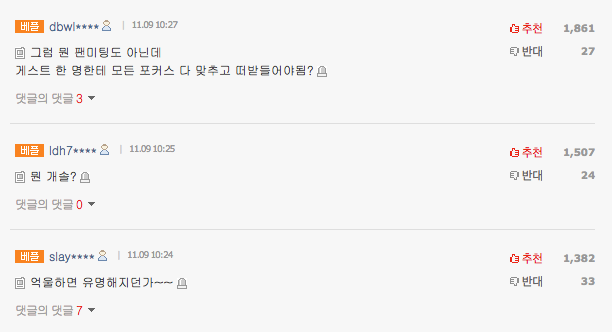 A fan tweeted, "What did I gain from watching 'Happy Together' for an hour and 40 minutes? Did NCT even get 5 minutes of screen time?" ??... 1?? 40??? ??? ??? ??? ??? 5?? ????? ??? ??? Another fan tweeted, "'Why did Happy Together' even say NCT is making an appearance ?? He's not a cardboard. Jaehyun put his hand up (to answer) but�Jo Se Ho�snatched it. I'm so aggravated�??" ?????? ??? ???????? ?????? ??? ????? ???? ???? ???? ???? "'Happy Together', just don't invite them again if it's not an NCT special." ?? ??? ?? ??? ??? ???????? "Why did you invite NCT if you're going to do this 'Happy Together'.."
Contrary to the fans, netizens expressed different opinions. Comments stated, "It's not a fan meeting. They can't give focus to every single guest and match their needs," "Wtf you saying? ", "Become popular if you're upset." Although, it is unfortunate that the boys did not get much screen time, I think it was to be expected considering that the others were experienced, witty variety idols. However, I do think the whole MCs being confused at NCTs concept was unnecessary and frustrating. 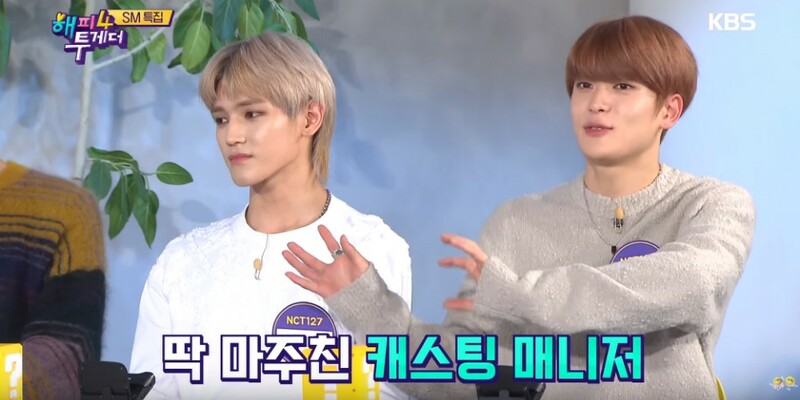 I think if the MCs want to find out about the guest's general info, they should be briefed on this or do research before the recording since variety shows are to display the idols personality and talents (which they did well with NCT Lucas' episode). Honestly, I find it quite painful, watching them go to the trouble of explaining, only to be shut down every time (the same thing happened at weekly idol). Not only is the concept not one they made, it is also a constantly changing one and often SM even breaks their original rules, eg by adding members to NCT 127 which is supposedly a fixed group. As for screen time, I just hope the boys get another chance to shine.